of bitey face during our recent blizzard. A brief pause in the action. Look out, Rudy. Rosie's gonna get you! I love that you were able to capture the snowflakes in those photos! 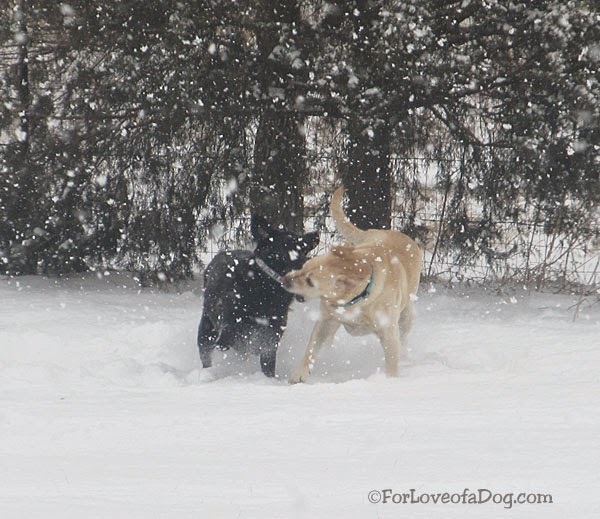 There is so much fun to be had in a snow storm. That looks like a perfect game of bitey face! Have fun!!! They sure enjoyed that snow. I'm so done with the cold! Have a great day. Happy WW looks like you're having a blast! Snow sure brings out the play, doesn't it? 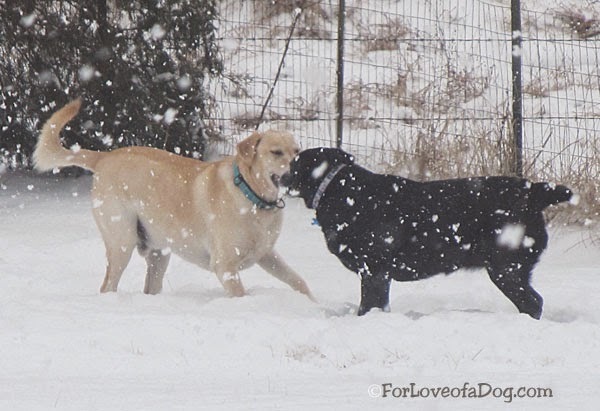 We are experiencing real snow for the first time in over five years! Pierre has never seen snow and it's Bentley's 2nd time. They are loving it! 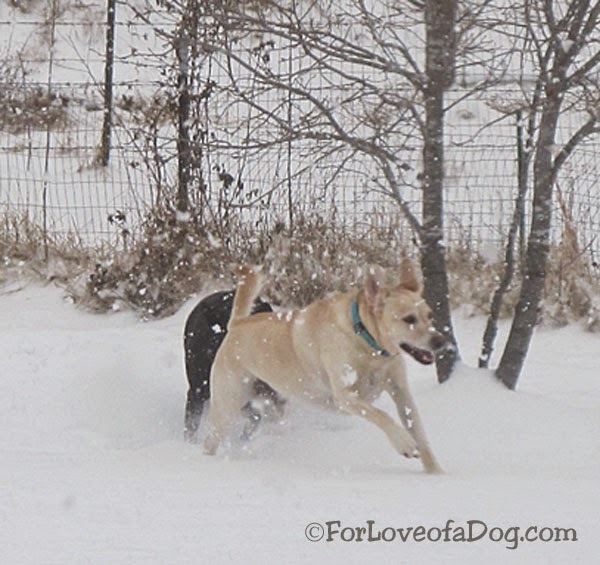 Oh, we love fun in the snow. What great photos!! 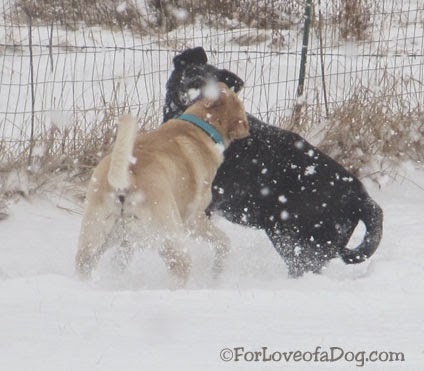 I can see Rudy & Ruby had a blast frolicking in that snow! Looks like fun, tell me, did Rudy get away? 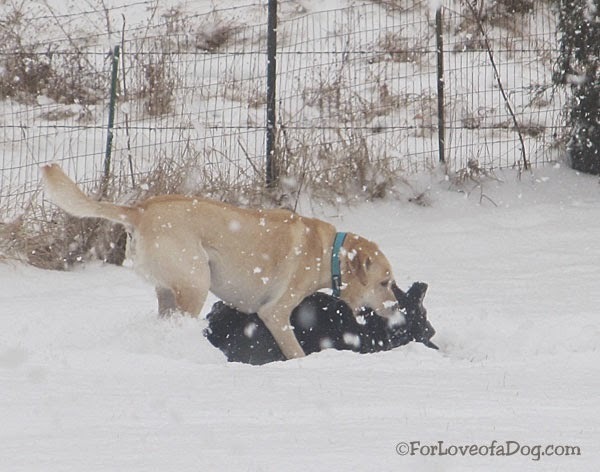 Don't you just love to see your dogs playing like that? They are so blissful and carefree and thoroughly enjoying each others company. They look like they're enjoying the blizzard! Looks like they are having so much fun! We just got a bunch of snow too. But Tank needs a buddy to play with since the cats just aren't interested- haha! It's nice they play like that. Mine got out of the habit with Sampson's injury and while they still do play sometimes, it isn't that frequent. I miss it. Bitey face is fun, but bitey face in the snow is even better!